Now the nights are really drawing in, it’s time to turn your attention to storing your caravan for the winter. Nothing beats the feeling of freedom when you hit the road with your own caravan in tow. You’re free to go where you want and stay where you want. But even the hardiest of us caravan owners normally reserve our road trip adventures in the UK to the warmer months. If you’re going to be leaving your caravan unused for the next couple of months it pays to prep it properly. Time spent now can save money in the long run and ensure your caravan is ready to go next spring. 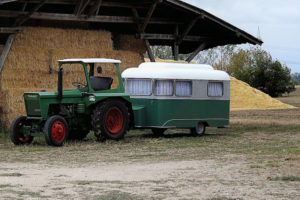 If you’re not sure what you need to do, here are 10 quick tips to store your caravan for winter. It can be heart-breaking to go to your caravan and discover it’s been broken into, or worse …not there! When it’s left over winter your caravan is a sitting target for thieves. So it’s worth thinking carefully of ways to keep it as safe and secure as possible. If you’re storing your caravan away from your home, think carefully about the location. Is it in a well-secured area? Fitting extra security devices like locks, security spikes, alarms, and CCTV can also deter criminals. And it’s a good idea to remove valuables, like TVs, that could be an added temptation for thieves. Water leaks are the bane of every caravan owner. Checking the rubbers seals around your windows and doors takes only a few minutes, but could save you hours of cleaning up again. Look for the tell-tale cracks that show the rubber is perishing. Then get these replaced to help keep the damp and water out. It’s not just leaks that can result in water damage. When your caravan is shut up for weeks at a time you run the risk of condensation forming and causing damp and mildew. Once formed, the dark fungal spots can be tricky to shift completely. Instead, take preventative action. Choose a bright, sunny day to air your caravan thoroughly. It’s worth checking the weather forecast to make sure humidity is low on that day, as moisture in the air is not visible. Carefully check that the inside of the caravan is totally dry before shutting it up for the winter. Some DIY remedies to help prevent damp include using bowls of salt, which will absorb moisture from the air. Or you could try using shop-bought humidity crystals, which do the same job. Check and change/dry out your salt/crystals throughout the winter months so they can keep on doing their job. Take out your awning and give it a good clean. Make sure it is 100% dry before putting away. Before shutting up your caravan for the winter, be sure to double check you haven’t left anything in your fridge. You really do not want to discover a pint of milk next spring that has been left since the summer. Give the fridge a good wipe down to remove any traces of food. Using bicarbonate of soda can be especially effective and will help to neutralise any odours. And leave the fridge door open to allow air to circulate. 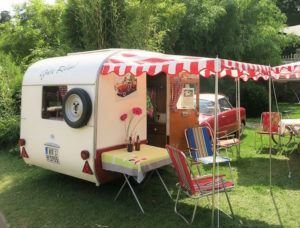 Even if you’re not taking your caravan out, try to move it around regularly to avoid flat spots forming on the tyres. If left in one place all winter, the weight pressure will damage the tyres. If you do take it for a quick drive on the road, make sure all your caravan insurance and breakdown insurance is in place. It’s a good idea to remove all the soft furnishings, like cushions, and store them at home. These are always a magnet for damp, and despite all your efforts can end up smelling musty if left in situ. Instead, take them home, wash them, dry them thoroughly and store until you’re ready to set off for your next adventure. Remove the battery and store somewhere dry and cool unless it’s connected to your caravan alarm system. And don’t forget the batteries in items like clocks or your TV remote. These can leak if left unused, damaging the items containing them. It’s prudent to remove your gas cylinders before storing your caravan for winter. Leave them in a safe, cool, well-ventilated space. Freezing temperatures can mean frozen pipes and splits. And when frozen pipes thaw that can mean water damage. Make sure your water systems are totally empty over winter. Open and drain all the taps, not forgetting your shower. And remove your water filters to store them somewhere frost-free. Just because your caravan is off the road, it doesn’t mean you won’t need insurance. Protect it from fire, storm damage, and theft over the winter months with caravan insurance. It’s Easy2Insure your caravan when you call our helpful team. We’ll use our industry contacts to secure you a value for money deal that is tailored to your specific needs. Just call us on 0800 917 9522 or get a free quote today. It’s that time of year to dig out the scarf as the long, chilly nights draw in earlier and earlier. Damp, foggy mornings are becoming the norm. And for many of us with motorcycles, it’s the time to swap two wheels for four for a couple of months. Even if you’re hanging up your leathers for the winter, it’s still just as important to take good care of your motorbike. That way you’ll be ready to hop back on for a spin as soon as spring has sprung. Follow our nine quick tips and store your motorcycle for winter the right way. Leave your bike with a full tank of fuel to minimise the chance or condensation building up inside the fuel tank and causing corrosion. Old oil can contain sludge that could settle in the sump if you don’t ride your bike for some time. If that happens, the sludge will be the first thing into the oil pipe when you do go out again. By changing the oil for fresh, you limit the risk of that happening. It’s important to get your bike as clean as possible before you leave it over winter. If you have been tempted to hit the road on your motorbike in the winter, be aware of the potential damage gritted roads could do. The salt will corrode metal so needs to be thoroughly removed. If you’ve given your bike a good clean, the next thing to do is to make sure it is as dry as possible and given a final polish. This will help to limit the possibility of condensation building up. Remember, water gets everywhere, so carefully dry out with a cloth and leave somewhere that air can circulate freely around your bike. You’ve washed, dried and polished your motorbike. Now it’s time to prevent new damp getting into the bike parts. Stuff an old rag into the end of the exhaust system to help prevent cold, moist air finding it’s way into the exhaust system. Just don’t forget to remove it before you start your motorbike up again. Leaving your bike unused for a couple of months can mean the battery loses its charge. Avoid digging out the jump leads and prevent this situation by hooking it up to a battery conditioner (also known as a trickle charge). You’ll need an electric supply in your garage, but you’ll be pleased to hear it uses only a very small amount of electricity to keep the battery in tip-top condition. Leaving your motorbike in one place over winter can cause excess pressure in just one position on the tyres. Then, when you come to use it, you’ll find flat spots have formed and damaged the tyres. To prevent this, use paddock stands to elevate the wheels off the ground safely. Alternatively, go to your bike once a week to rotate the wheels and avoid pressure occurring in just one place. Covering your bike with a cloth can help to protect it from dust and dirt. It’s better to use a cover that is made of a breathable fabric, to avoid the build-up of condensation. Some experts recommend that you avoid cotton, as this can absorb and hold onto moisture and hold it next to your bike. Another option is a bike ‘bubble’ like the one made by Carcoon. This has the benefit of encouraging airflow around your bike as well as offering an added element of protection against accidental knocks and bangs. It’s best to store your motorcycle away from direct sunlight, which causes temperatures to fluctuate leading to condensation. If your garage has a window, think about how the sunlight shines through it over the day. Then park your motorcycle away from where the sun shines in. 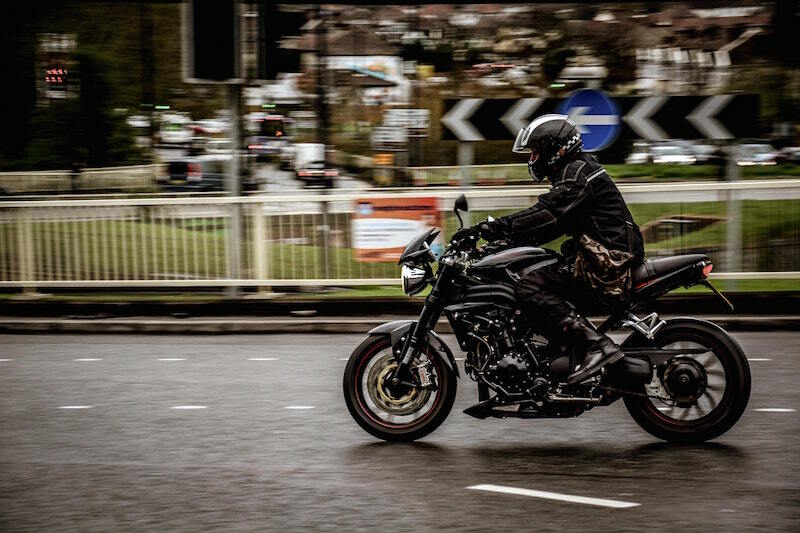 Whether you ride a classic or have an everyday run-around, it’s Easy2Insure your motorbike. Our friendly team at Easy2Insure has the knowledge and experience you need to get the right level of cover at the best possible price. As independent brokers, we’ll shop around insurance companies big and small and negotiate the best value prices on your behalf. Call us on 0800 917 9522 or get a free quote now.